No More New Hampshire Primary? 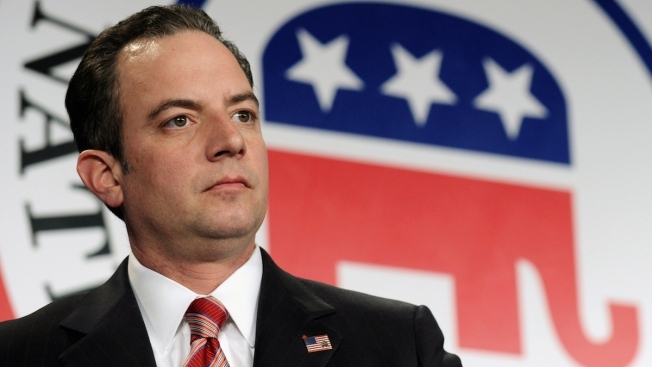 If Reince Priebus gets his way, that could be the case after 2016. The Republican National Committee chairman told National Journal this week that it might be time for the party to look into getting away from the early-state primary process of winnowing the pool of presidential candidates. "It's a hot topic," Priebus said. "These early states are very used to fighting this out every four years. It's just something I think we ought to look at as a party... I don't think there should ever be any sacred cows as to the primary process or the order." The GOP chairman's comments set off shockwaves in New Hampshire, which along with Iowa, has traditionally been first on the nominating schedule. New Hampshire Democratic Party Chairman Ray Buckley issued a statement accusing Priebus of trying to "destroy New Hampshire's first in the nation status. "Since 1952, the New Hampshire primary has served as one of the country's first nominating contests for presidential campaigns. New Hampshire serves as a testign ground for presidential candidates, giving long-shot candidates a chance and making sure that candidates face tough questions from New Hampshire voters who know their issues. New Hampshire's first in the nation status must be protected." Buckley's GOP counterpart, New Hampshire Republican State Committee Chairman Jennifer Horn, promised to do just that. "New Hampshire has earned its place as the First-in-the-Nation presidential primary state because our voters are sophisticated and take their role in the nomination process seriously," she said. "The entire nation benefits when candidates are forced to answer the concerns of voters face-to-face in living rooms and backyards across New Hampshire. "The New Hampshire Republican State Committee is committed to fighting any attempt to threaten our status after 2016." Republican presidential candidate John Kasich was in Chicago on Tuesday, but he issued a statement saying he supports having Iowa and New Hampshire continue to play a key role in the years to come. "New Hampshire and Iowa have earned the responsibility to hold the first primary and first caucus to launch the nominee for our Party," he said. "Voters in these states take their responsibility seriously and are among the most active, knowledgeable voters anywhere in the nation. By requiring that candidates engage directly with the voters, every candidate is tested and judged fairly. I strongly urge the RNC to preserve New Hampshire and Iowa's earned status as first in the nation." Paul Young, a senior New Hampshire advisor to GOP candidate Lindsey Graham, also issued a statement. "New Hampshire’s first in the nation status has been a constant in our political process for decades and it works," Young said. "Any talk of changing this proven system where engaged voters in a small state fully analyze the candidates on issues of substance is irresponsible and a bad idea. Iowa, New Hampshire and South Carolina work for our nominating process; Lindsey Graham does not believe it should change." Jeb Bush, who is on his way to New Hampshire, tweeted out a message of support for the New Hampshire primary. "Pleased to be headed back to the Granite State, which is and should remain, first in the nation. See ya tonight #fitn"
U.S. Sen. Kelly Ayotte, R-NH, also voiced her support for New Hampshire's primary, saying "Past efforts to diminish the role of our primary have never been successful, and I will always fight to protect New Hampshire's first in the nation status."